The U.S. Department of Education is committed to both technological progress and the protection of privacy and security for students, educators, and all involved in schools. 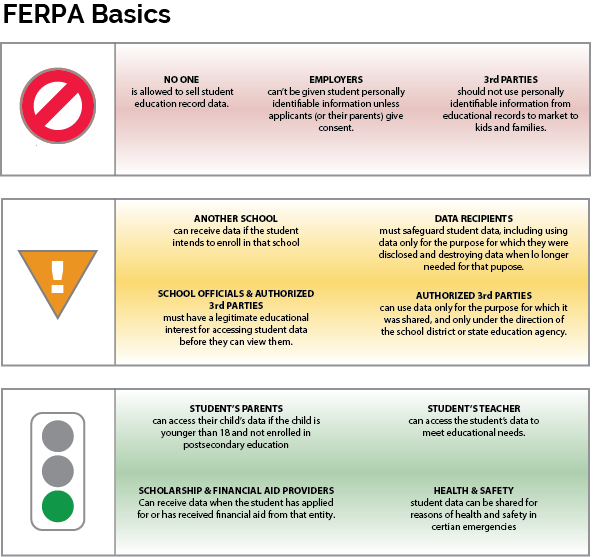 The U.S. Department of Education runs the Privacy Technical Assistance Center (PTAC) as a “one-stop” resource for answering questions and addressing concerns related to privacy, confidentiality, and security practices. PTAC provides timely information and updated guidance on privacy, confidentiality, and security practices through a variety of resources, including training materials and opportunities to receive direct assistance with privacy, security, and confidentiality of student data systems. New education technologies often raise questions about how best to protect student privacy during use. This document addresses privacy and security considerations relating to computer software, mobile applications, and web-based tools provided by a third-party to a school or district that students and/or their parents access via the Internet and use as part of a school activity. It presents some requirements and best practices to consider when evaluating the use of online educational services.